The programs at our cosmetology school help you learn the fundamentals in creativity and style. Our modern facilities and qualified staff are here to meet all of your beauty training needs. Learn how to be more creative in our Cosmetology, Esthetics (Skin Care) or Nail Technology programs and start reaching your professional potential. Our beauty school in Wichita, Kansas offers both full- and part-time enrollment, so you get the most out of your personal and professional schedules. 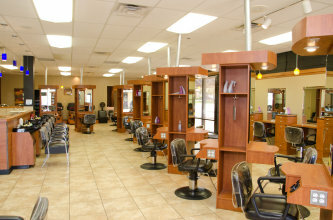 Marinello School of Beauty, in Wichita, KS is a premier beauty school located in Sedgwick County. Students commute from Park City, El Dorado and Derby. Our beauty school is designed to teach you the skills you'll need to be an owner of a salon, top hair stylist, hair designer, skin care specialist, makeup artist and nail technician. Come tour our school today!